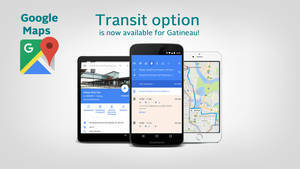 Société de transport de l'Outaouais (STO) riders will be pleased to learn that they can now get a bus itinerary for Gatineau in Google Maps. This adds another tool to the existing options for our public transit clientele, including Plani-Bus. Google Maps is a route planning app that shows which bus routes to take from point A to point B based on the date and time. It also indicates the trip length, frequency of the buses and how to get to the bus stop on foot. Furthermore, Google Maps can combine STO and OC Transpo services to suggest the best itinerary. Google Maps is a tool that is often appreciated by visitors. It has proven its value amongst millions of users around the world. This Google app offers public transit data for more than 15,000 cities worldwide, including about 20 in Quebec. It can be accessed from computers and mobile devices. Anyone wishing to submit a comment or suggestion about the Google Maps app and its results can send them directly to the developer by using the Feedback option when searching for an itinerary.